Cornea is the soft tissue located in the outer layer of the eyeball. The transparent cornea provides 70% ocular refractive power . Corneal biomechanical properties play an important role in maintaining the normal shape and function of cornea. 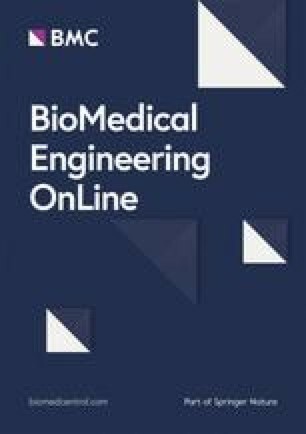 Besides, the occurrence and development of ocular diseases such as keratoconus, myopia and pseudoexfoliation syndrome, the design and prognosis of corneal surgeries such as corneal transplantations, corneal refractive surgery and corneal collagen crosslinking surgery are also correlated to corneal biomechanics [1, 2, 3, 4, 5, 6, 7]. Therefore, more and more ophthalmologists and researchers expect to obtain human corneal biomechanics though simple clinical measurements. Ocular Response Analyzer (ORA) and Corneal Visualization Scheimpflug Technology (Corvis ST) are two of the most widely used devices for measurements of corneal biomechanical properties in clinic. In fact, the parameters provided by these devices such as corneal hysteresis (CH) and corneal resistance factor (CRF) by ORA measurements and corneal stiffness parameter (SP-A1), corneal deformation amplitude (DA) and first applanation time (A1T), etc. by Corvis measurements are descriptions of mechanical process of cornea under air-puff. These parameters are related to corneal biomechanics, intraocular pressure (IOP) and corneal geometrical parameters [8, 9, 10], so we call them corneal biomechanics related parameters. Although many researchers attempted to get the relationship between these parameters and mechanical properties such as Young’s modulus, there is still lack of acknowledged results at present [11, 12]. Many studies [2, 13, 14, 15, 16, 17, 18, 19, 20, 21, 22, 23, 24, 25] have put great concerns on how to extract corneal elastic modulus directly from Corvis and/or ORA parameters. Glass  and Han  regarded cornea as a simplified spring and dashpot system to simulate corneal response to air-puff. These studies can help researchers to understand corneal biomechanical related parameters preliminary, but cannot determine corneal biomechanical properties quantitatively due to too simple models. 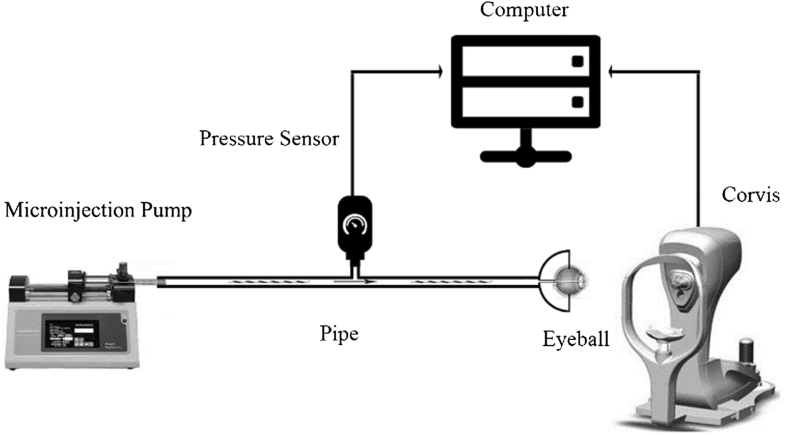 Besides, researches have simulated corneal response under air-puff pressure by finite element method [16, 17, 18, 19, 20, 21, 22] in order to evaluate corneal biomechanical properties based on different corneal constitutive model such as Fung’s model , Ogden model , fiber-dependent model  or other models [21, 22]. These studies provided approaches to obtain corneal traditional biomechanical properties based on Corvis results while these methods have a higher requirement for corneal geometrical models and are time consuming, which make it difficult to be used in clinic directly. Furthermore, Wang et al. detected air puff-time curve and corneal apical displacement–time curve, from which two parameters: corneal tangent stiffness coefficient (STSC) and corneal energy absorbed area (Aabsorbed) were determined. However, both of STSC and Aabsorbed are not corneal elastic modulus or viscoelastic parameter. 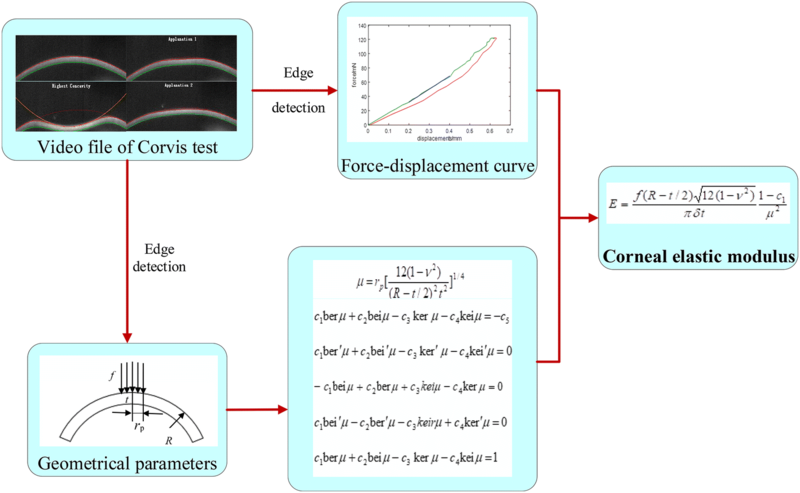 In the latest version of software of Corvis, Stiffness Parameter (SP-A1) is provided which is expressed by the ratio of the force and displacement at the first applanation state . From the expression of SP-A1 we can find the SP-A1 was affected by IOP. These two parameters are significantly correlated with corneal geometrical parameters which lead to the difficulty to evaluate corneal elastic property accurately. In addition, Shih et al. estimated corneal Young’s modulus in vivo by proposing modified Taber’s model to describe the relationship between the force applied on cornea and corneal apical displacement based on Taber’s results . While in their paper cornea was regarded as hemisphere and the air-puff pressure was assumed as a point load at the apical point of cornea, which have discrepancies with corneal normal geometrical shape. Therefore, corneal biomechanical properties such as its elastic and viscoelastic properties have not been directly determined from Corvis parameters yet. To the authors’ knowledge, there was few studies have reported Corvis parameters of rabbit cornea in vivo. The coefficient of variation (sd/mean) of Corvis parameters showed a good consistency with the results reported by researches about the Corvis parameters of normal human cornea, which indicated that the Corvis parameters of rabbit cornea has a similar repeatability with human Corvis parameters. From Eq. 6 and Fig. 8, rabbit corneal elastic modulus ranged from 0.16 to 0.60 MPa when IOP increased from 7 to 35 mmHg. Corneal elastic moduli were usually obtained from corneal uniaxial tensile test or corneal inflation tests, and the range of normal rabbit corneal elastic modulus ranged from 0.1 to 0.36 MPa in different studies [7, 24, 32, 33, 34, 35]. Corneal elastic modulus extracted from this study has the same magnitude with the results reported by the literature. 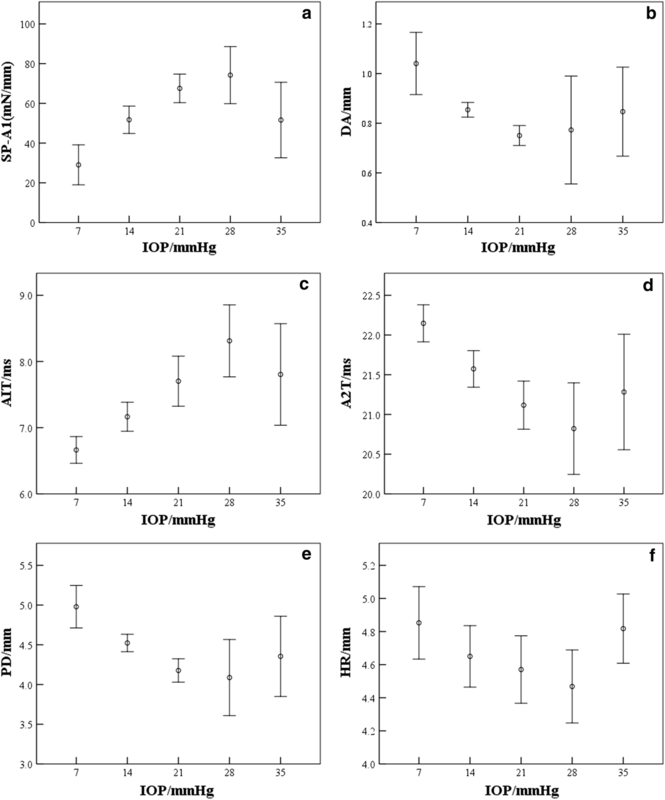 Besides, corneal elastic modulus was found positively correlated with IOP, and corneal inflation tests of human cornea showed a similar positive correlation between corneal elastic modulus and IOP . 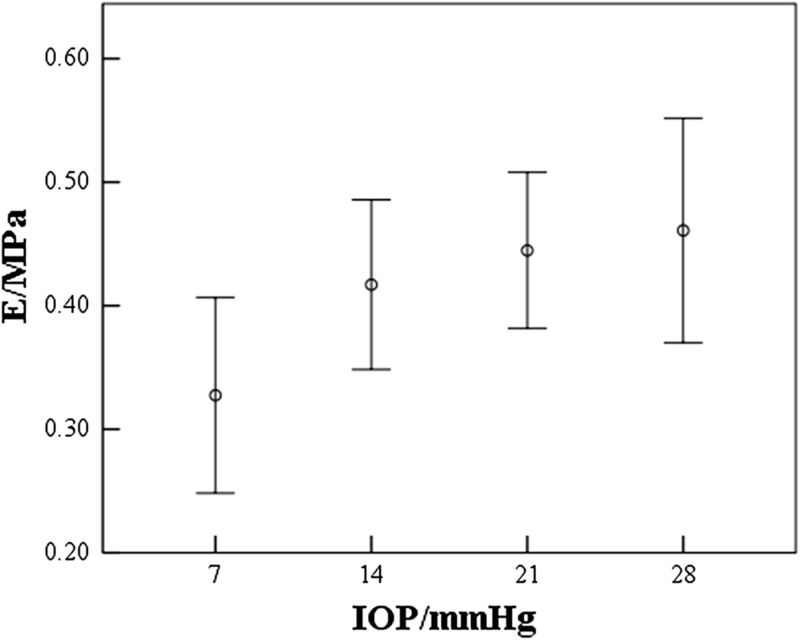 These results remind us cornea present nonlinear elastic properties under IOP of 7–35 mmHg. It has been known that Except IOP, corneal thickness and corneal curvature radius maybe also the main factors when determine corneal elastic modulus. From Eq. (3) and Eq. 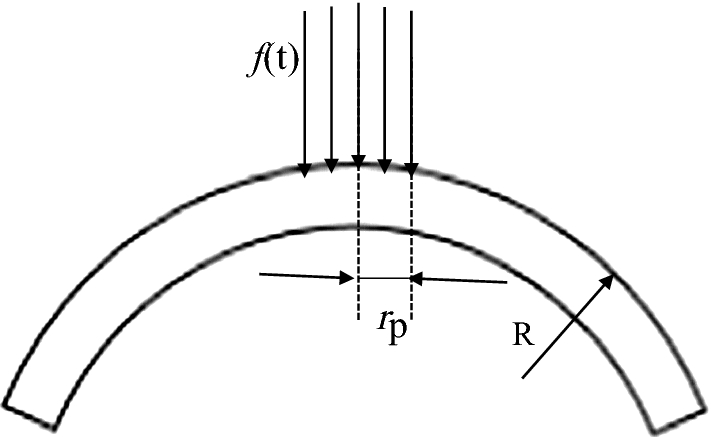 (5), we have considered the influence of corneal thickness and curvature radius in the computation of the elastic modulus. 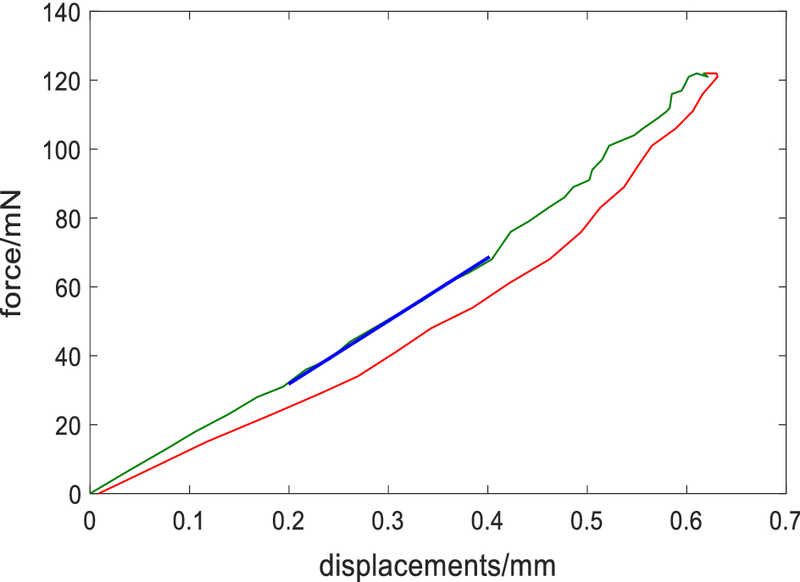 To analyze whether our calculated elastic modulus has screen out the influence of corneal thickness and curvature radius, we calculated the correlation between elastic modulus and thickness, curvature radius. 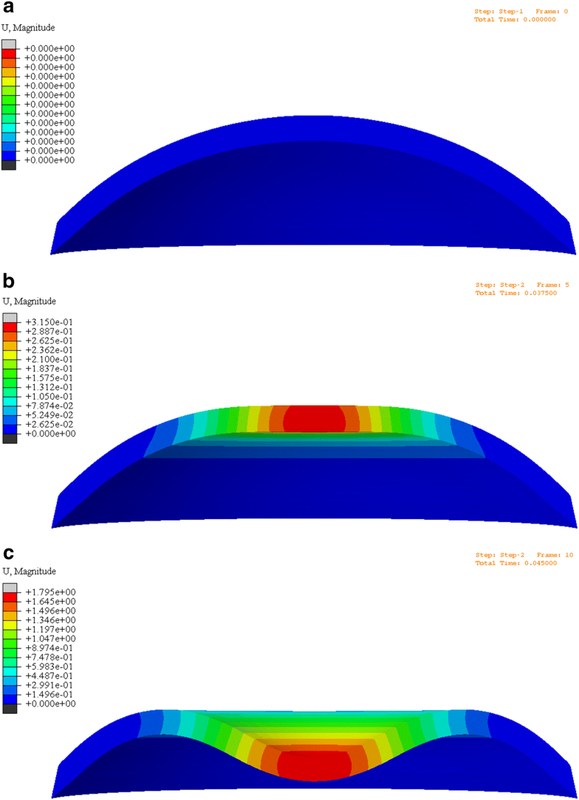 Results showed the correlation between corneal elastic modulus and corneal thickness (r = 0.041, p = 0.823), corneal curvature radius (r = 0.115, p = 0.531) in vivo were not significant, in vitro results also showed our calculated elastic modulus was less affected by corneal thickness (r = 0.476, p = 0.086) and curvature radius (r = 0.253, p = 0.384). So, we considered that the method proposed in this study to extract corneal elastic modulus based on results of Corvis tests is effective for rabbit cornea. Corneal elastic modulus has been reported to be lower in keratoconus patients  and shown increased after corneal refractive surgery . Corneal biomechanical properties also changed significantly after corneal transplantation [4, 5, 6]. One could calculate corneal elastic modulus, for example, based on our method from Corvis results thoroughly. Calculated corneal elastic modulus may provide important information for the diagnosis of keratoconus, the prevention of corneal ectasia after corneal refractive surgery. In addition, from Figs. 7 and 8, corneal elastic modulus showed similar trend with A1T and SP-A1, and opposite trend with DA, A2T, PD, when IOP increased from 7 to 35 mmHg. The significant correlation between Corvis parameters and corneal elastic modulus (Table 3) showed similar results for Corvis measurements in vivo. These indicated that one can estimate whether corneal elastic modulus is in normal range according to Corvis parameters roughly. This study makes it possible to diagnose abnormal corneas more timely and effectively based on the combination of corneal morphological examination results and corneal elastic modulus.